If you are concerned about these terms and conditions of use, you should read them each time before you use our website. Any questions or concerns should be brought to our attention by sending an e-mail to info(at)identitytheftlabs.com, and providing us with information relating to your concern. You agree not to copy content from our website without our permission. Any requests to use our content should be submitted to us by e-mail to info(at)identitytheftlabs.com. If you believe that your intellectual property rights have been infringed upon by our website content, please notify us by sending an e-mail to info(at)identitytheftlabs.com,or by sending mail to us at the address listed below. Please describe in detail the alleged infringement, including the factual and legal basis for your claim of ownership. We are not responsible for any obscene or offensive content that you receive or view from others while using our website. However, if you do receive or view such content, please contact us by e-mail to info(at)identitytheftlabs.com so that we can investigate the matter. Although we are not obligated to do so, we reserve the right to monitor, investigate, and remove obscene or offensive material posted to our website. Any questions or concerns about these terms and conditions of use should be brought to our attention by e-mail to info(at)identitytheftlabs.com, and providing us with information relating to your concern. These terms and conditions were last updated on 01-30-2015. This site is not owned or operated by LifeLock, Inc. and the contents of this site are either under the exclusive control of Superior Marketing Results Inc (dba Identity Theft Labs) or other third parties not under the control of LifeLock, Inc. Any representations contained in this site are those exclusively of the site owner and not LifeLock, Inc., and LifeLock, Inc. is not responsible for the accuracy of any such representations. The site operator may receive compensation from sales made through this site. Copyright 2015 Superior Marketing Results Inc (dba Identity Theft Labs). LifeLock, LifeLock Ultimate, the LockMan Logo and “Relentlessly Protecting Your Identity” are trademarks or registered trademarks of LifeLock, Inc.
To support this blog and our efforts we have become a contracted affiliate or partner of all of the identity theft protection services and credit monitoring services found on this website either directly or through other affiliate marketing companies such as Commission Junction. 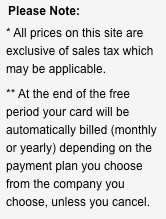 This means that we do receive compensation for sales made through this site. In fact, we have had offers of affiliation from many other identity protection companies but we remain selective and careful in regards to who we will represent. Companies must meet our stringent guidelines and must be determined by us to be the best of the best. We still remain independent and unbiased and we present our opinions without the influence of any other person, body or company outside of our small team. The concept of proactive credit protection is a great thing for consumers. Though credit monitoring has been around for quite awhile many identity theft protection companies are still relatively young and they continue to improve their offers. We will continue to monitor theses changes and will update IdentityTheftLabs.com along the way. In the mean time, we highly recommend that you pick one of these identity protection services and get some coverage in place for yourself and your family. Regardless of the choice you make – Identity Guard, Identity Force, LifeLock or Trusted ID, the price is nothing compared to the expense and frustration of dealing with a case of identity theft and abuse. Click here to compare identity theft protection services. We review our website periodically for broken or out-of-date links. Any and all links may be posted, altered, or removed at any time. To report problems with links on our website, or for more information about this policy, please send an e-mail to info(at)identitytheftlabs.com. We may use autoresponders to communicate with you by e-mail. To protect your privacy, we use a verified opt-in system for such communications and you can always opt-out of such communications using the links contained in each autoresponder message. If you have difficulties opting out, you may contact us by sending an e-mail to info(at)identitytheftlabs.com, or sending us mail to the address listed below. If you are concerned about the topic covered by this policy, you should read it each time before you use our website. Any questions or concerns about this policy should be brought to our attention by sending an e-mail to info(at)identitytheftlabs.com and providing us with information relating to your concern. This policy was last updated on 01-30-2015. Copyright © 2008 Law Office of Michael E. Young PLLC , and licensed for use by the owner of this website at www.identitytheftlabs.com. All Rights Reserved. No portion of this document may be copied or used by anyone other than the licensee without the express written permission of the copyright owner.